Here it is, my version of the Petal T-shirt from Ruffles and Stuff. I love Disney's colorful take on the shirt, but I chose to go monochromatic on this one. 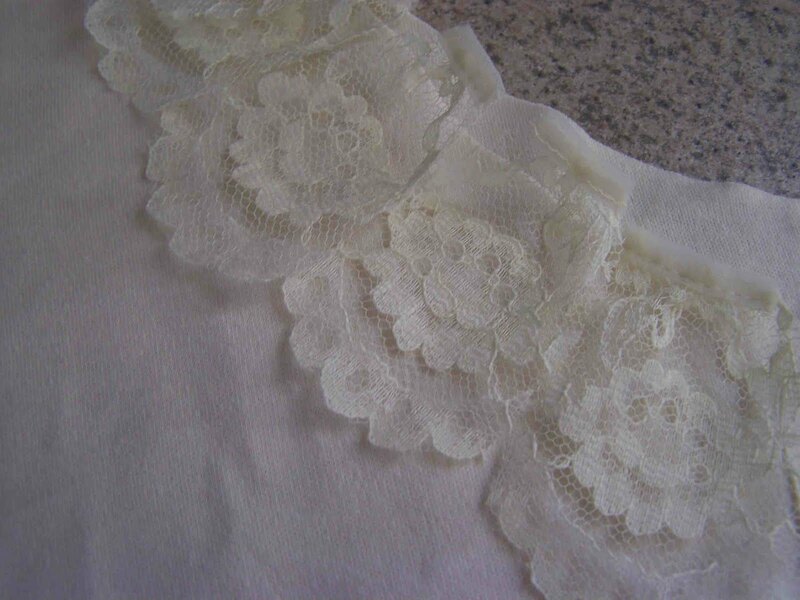 I made the shirt along with the embellishment, but you could easily add the petals, ruffles, or lace to an existing shirt if you choose. I used the same pattern that I made for my cap sleeve T-shirt from last week. I did make a couple of modifications, and will probably make a couple of more before I do a tutorial on the shirt itself. 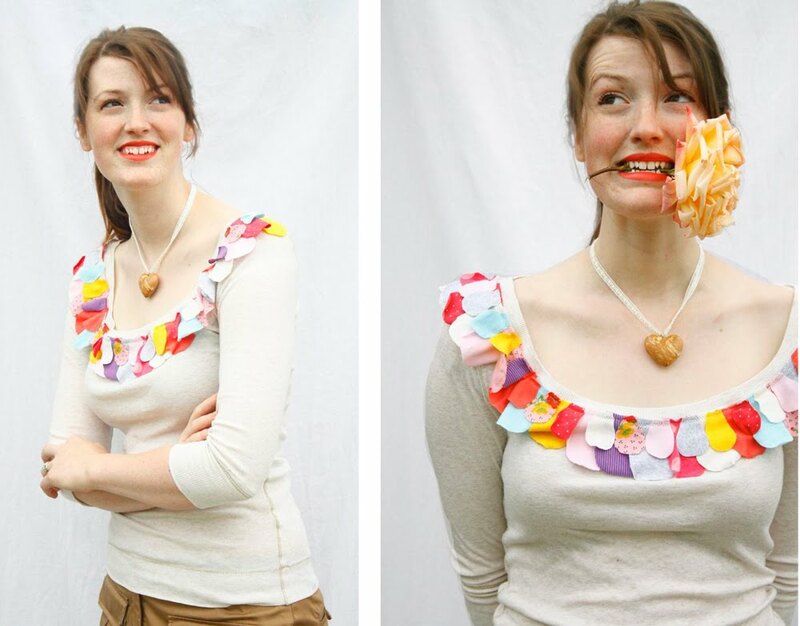 Want to make a Petal T-shirt of your own? Visit Disney's blog for a complete tutorial. I added a couple of my own touches, but the process is basically the same. I originally considered doing all of the petals out of lace (which I think would still look great), but I ended up just adding a base layer of lace petals. 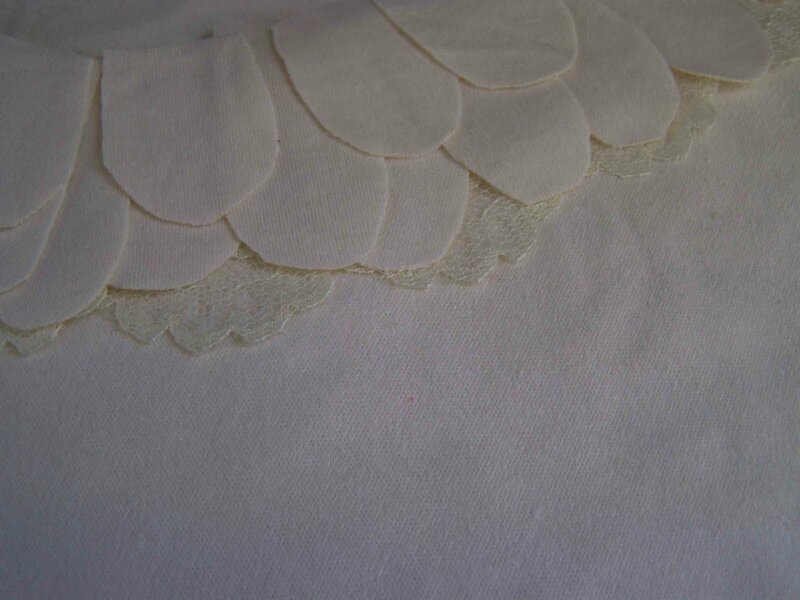 I cut the lace into petals by following the natural arc of the scalloped lace. I then arranged my petals from the same fabric as my shirt. I had two layers of fabric petals, with the bottom layer being slightly larger than the top petals, and slightly smaller than the lace petals. 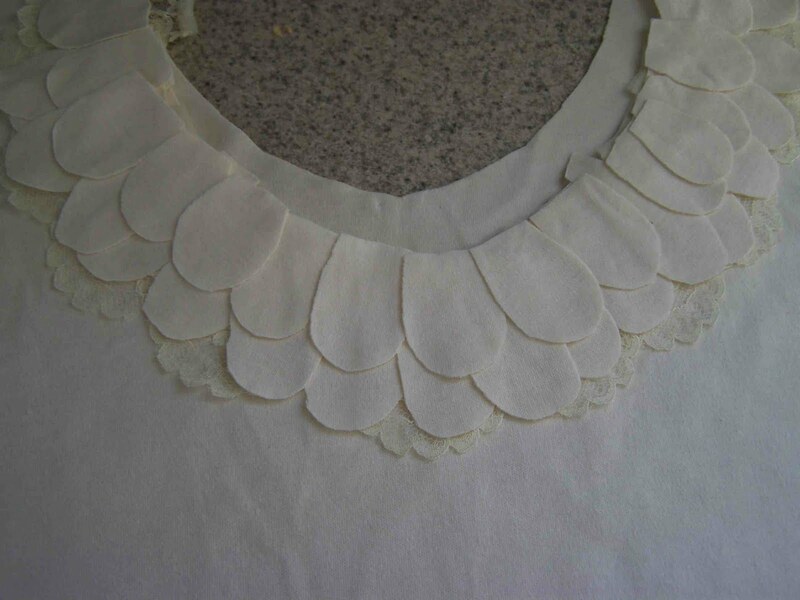 After I had an arrangement of petals that I liked I stitched about 1/4" from the edge of the neckline. 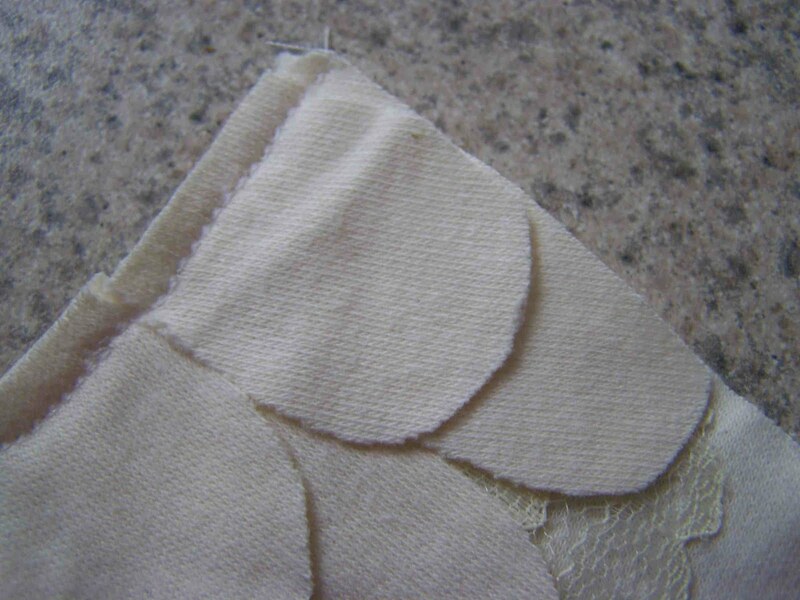 Then I lifted up the top layer and stitched down the middle layer of petals. You could choose to attach the petals one layer at a time, but I didn't want to have to reposition all of the petals once I found a layout that I liked. Once I had stitched around the edge of the petals I had a feeling that I was going to be repositioning my petals every time I wore the shirt. 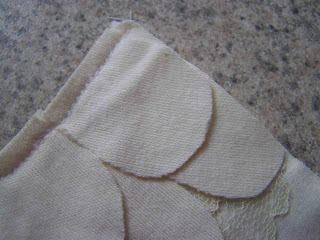 I decided to stitch down the center of the petals on the top layer. I helped anchor down the top layer, and prevented many of the middle layer of petals from moving every which way. I have a feeling that if the petals weren't made from knit that they wouldn't have moved quite so much. Next I added my ruffle. 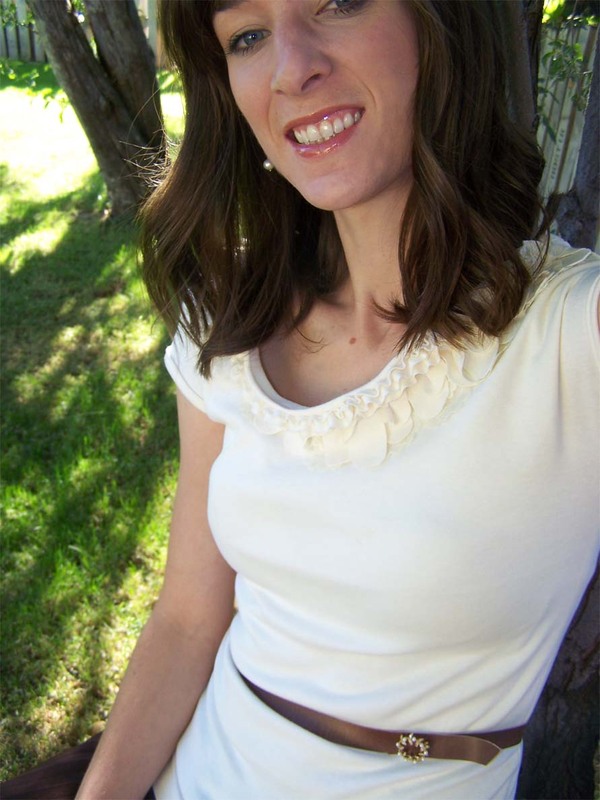 I had intended on putting a ruffle on this shirt, but it happened. 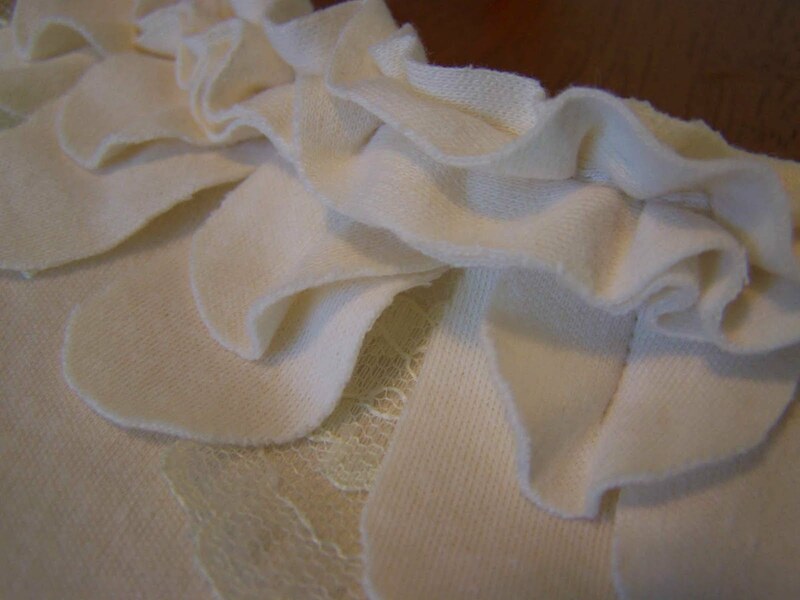 I made a double layered ruffle by cutting two strips of fabric. 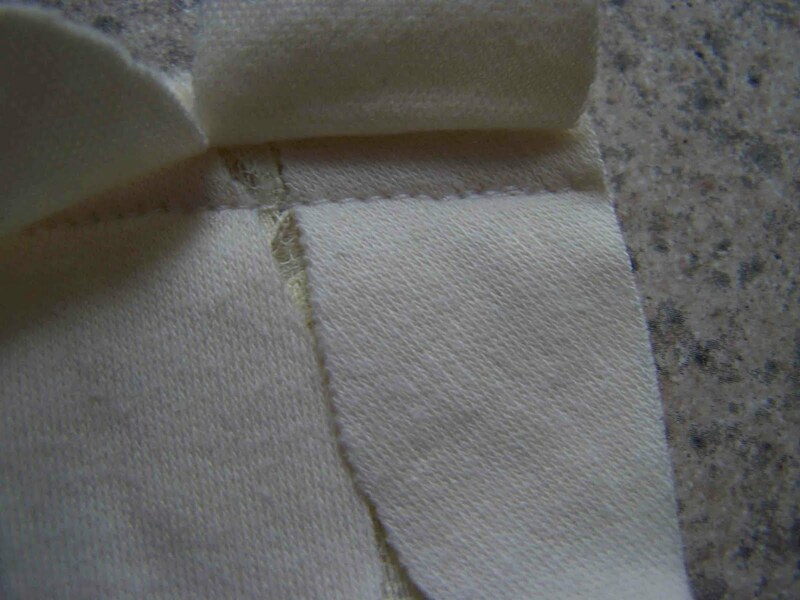 One layer is 1" wide, and the other is 3/4" wide. I stacked them on top of each other and using a long stitch I gathered them. I then pulled my top thread and ended up with this cute little ruffle. I pinned the ruffle in place and stitched down the center of my ruffle anchoring it at each end with back stitching. I'm not positive, but to me it looks like Disney added petals all of the way around her T-shirt. 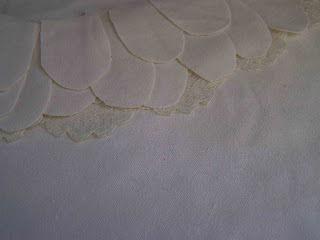 I just added the petals in the front and ended them at the shoulder seam. I'm sitting down in this picture, my posture really isn't that poor. I like the way that the shirt turned out. It is much girlier than I typically wear. I might just look like I'm wearing a clown costume. What do you think? Is the ruffle too much? It feels great to check a project off of my list. Unfortunately, probably added more to my list than has been checked off. Want to know how I made the belt? Click here. Super cute! I think I like it better with just the white, your belt is really cute too :) Great job! Wow... great job! Hi... I'm your newest follower. That is sooo cute!!! I want one! Your belt is super cute too! Great Job! SO cute I love a monocromatic embellished shirt! Super Cute!! I Like the all-white, much better.. Think that I will try this one, Thanks for the tutorial. Oh my gosh this is so cute!!! I really love the ruffle, it's not too much or too girlie. Super cute, I'm definately doing this one! It turned out very pretty. I love the lace accents on this shirt, it gives it a very feminie and dainty feel. Thanks for sharing!! Very cute! I love it; it looks very classic and just feminine enough. Nice job! I love the monochromatic version! I LOVE it! 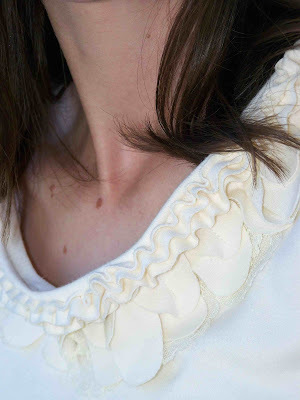 I have made several ruffle shirts that I blogged about on Vintage Pollyanna, but they were Tutorials by Tea Rose Home. I'll have to try this one! Awesome! Disney's shirt is so cute but I really like your tone on tone take. I'll have to try it out! I love it! I always loved Disney's tutorials, but it is great that you added your own touch too! yeah..I'm going to need one or some of these too!! Such a fab find! Thank you so much for linking this up to my party at Frou Frou Decor!! Your post was very popular this week at "AP Tuesdays" I will be featuring you tomorrow! Thanks for linking up such a great post! This shirt is so adorable! I love it! I am featuring this on Hoo's got talent! Thanks for linking up to the party! Do you have a problem with your embelishments unraveling after a couple washes?